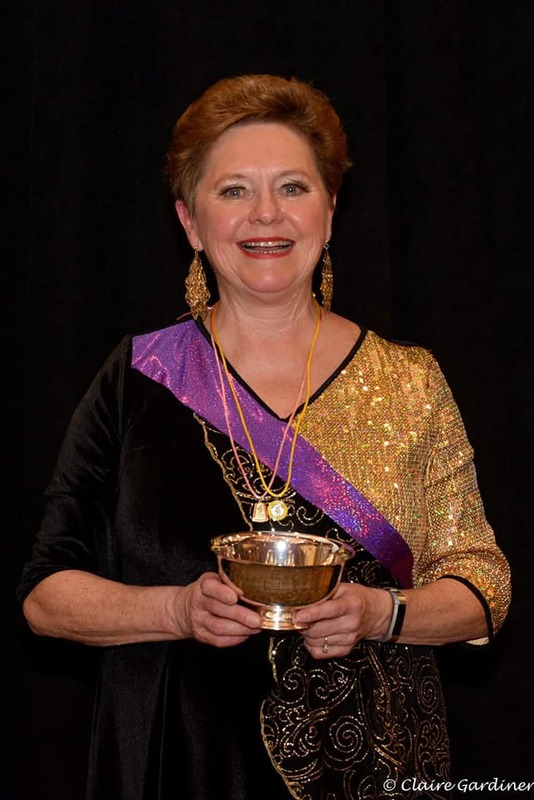 The Greater Richmond Chorus is pleased to announce that Susan Inge was awarded the Region 14 2019 Regional Excellence in Leadership Award. In her time with the GRC, Susan’s leadership has stretched from roles such as President, Vice President, Secretary, and Membership Coordinator, to Show Chair, Emcee, and choreographer, as well as roles including Section Leader and Tape Listener! She currently serves as Team Coordinator for GRC, providing guidance and focus to the entire chorus. With a number of transitions taking place in the chorus this year, including a new rehearsal night, a new time, and a new meeting space, Susan's leadership skills were essential to the smooth transition for the entire chorus. Susan's attention to detail and knowledge of the regional and international organizations are also invaluable to our success as a chorus. She is committed to ensuring that GRC lives up to its potential, actively engaging herself and the chorus in regional and international events, helping us all to stay on top of the resources and skills needed to achieve our goals. In addition to her chorus responsibilities, Susan has also filled many leadership roles at the Regional level, including multiple terms on the Board of Directors and serving as the Award Chair for 12 years! She currently serves as Regional Secretary on the Region 14 Regional Governance team and her ability to extend her focus beyond the chorus only serves to strengthen the Sweet Adelines organization as a whole.